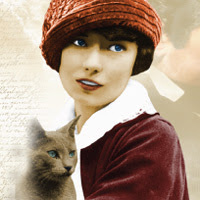 GPB media is throwing a party for the premiere of Margaret Mitchell: American Rebel and you're invited! Join GPB for an online watch party at 8p.m. where you can chat and like-minds during the documentary's premiere. Then chat with director/producer Pam Roberts at 9p.m. during the second airing. Here is the watch party address: www.gpb.org/margaret-mitchell/premiere. Don't forget to invite your friends!